Only fossils remain of the dinosaurs that gave Dinosaur National… – Sig Nordal, Jr.
Only fossils remain of the dinosaurs that gave Dinosaur National Monument its name. However, some large animals continue to prowl this rugged landscape along the Colorado and Utah border. 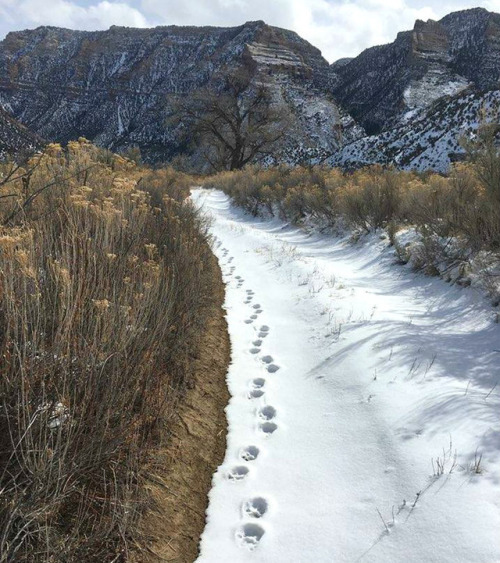 These tracks in the snow are 5 inches wide and belong to a mountain lion, just one species of the amazing wildlife that lives in the park. Photo by National Park Service. Next Article Dereliction of Duty?